Man Utd Table £18m Sissoko Bid? Robinho To Return To Santos? Rumour No. 1: The Daily Mail is reporting today that Manchester United are preparing a huge £18 million bid for Toulouse midfielder Moussa Sissoko. The 20 year old is to be bought in as a direct replacement for Anderson with Alex Ferguson keen to offload the under-performing Brazilian. The French international was strongly linked with Tottenham in the summer but, even after Spurs made a bid of £15 million, Toulouse declared that the young star wasn’t for sale. 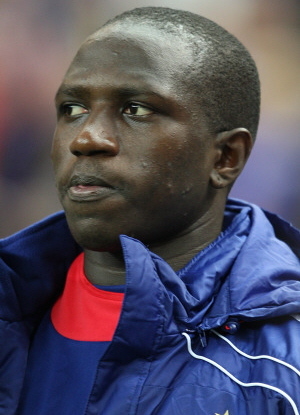 United are now hoping to entice the Ligue 1 team into letting Sissoko move on by wafting an even bigger wad of cash under their noses. Rumour No. 2: A story in The Sun this morning is suggesting that Brazilian club Santos have made an approach to resign Manchester City winger Robinho on loan until the end of the season. The report goes as far as to say that City’s FA Cup clash at Scunthorpe tomorrow will be Robinho’s last game for the club, should the forward even feature. The Best of the Rest: Man City have seen their bids for Crystal Palace’s Victor Moses (£2 million) and Racing Santander’s Sergio Canales (£5.5 million) both turned down. Fiorentina striker Adrian Mutu has also snubbed a move to Eastlands. Blackburn Rovers are in advanced talks to bring Monaco forward Eidur Gudjohnsen back to the Premier League on loan. Rovers are also working to sign Stuttgart midfielder Yildiray Bastürk during January. However, Morten Gamst Pedersen may be a player on his way out of Ewood Park. Fenerbache have been strongly linked with the Norwegian midfielder. Birmingham City have secured the signature of Aston Villa midfielder Craig Gardner for £3 million – subject to passing a medical. Another player who looks to be on his way out of Villa Park is Habib Beye, with Sunderland said to be ‘very keen’ on the Senegalese right back. Fulham have bid £6 million for FC Basle striker Marco Streller. The 6′ 5” target man would presumably be bought in as cover for the injured Bobby Zamora. Bolton and West Ham have both been linked with a cut price move for Burnley centre half Clarke Carlisle. The Hammers are also trying to tie up an 18 month loan deal for Blackburn striker Benni McCarthy, to get round some tricky work permit issues. Inter Milan journey man Ricardo Quaresma looks like he may be moving on again, with his former club Sporting Lisbon willing to take the out-of-form winger back to Portugal. dont give up your day job rag. 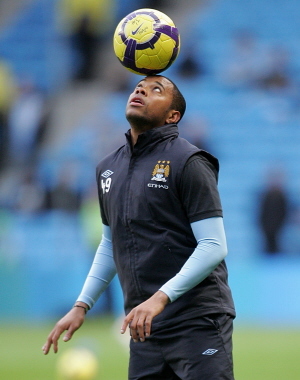 Robinho should To Return To Santos because he is flop in man city and man city is not using him well.